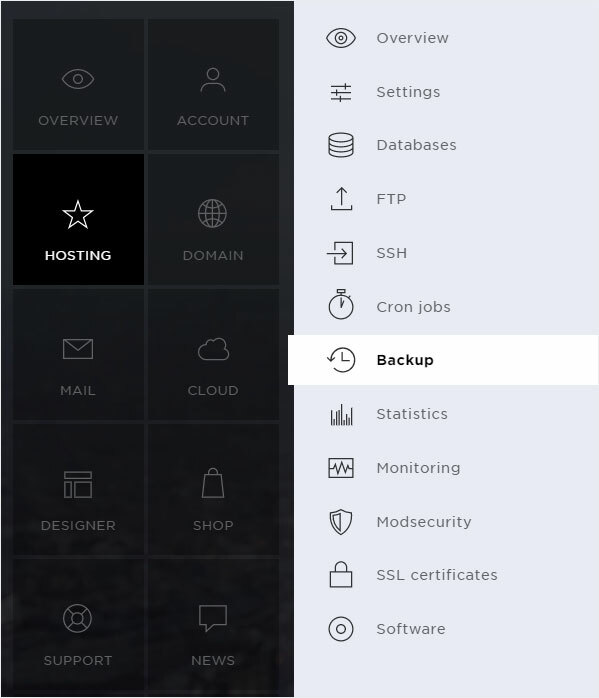 Click the «Hosting» menu item and then «Backup». 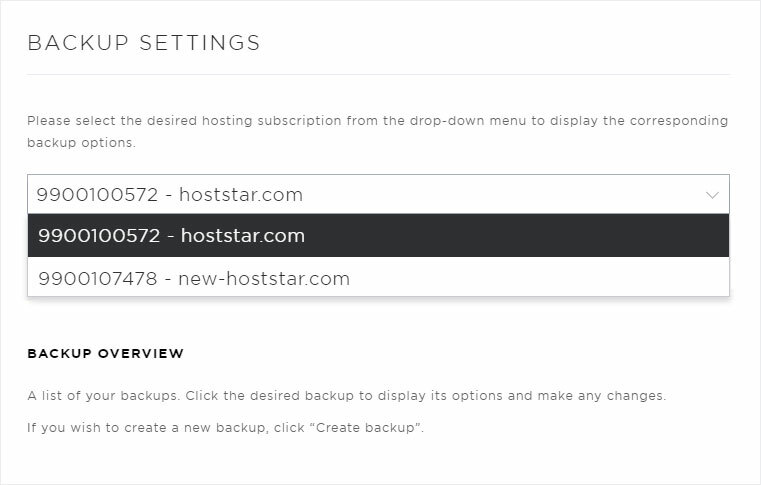 Select the hosting subscription containing a backup you want to manage. You will see a list of your backups under «Backup overview». 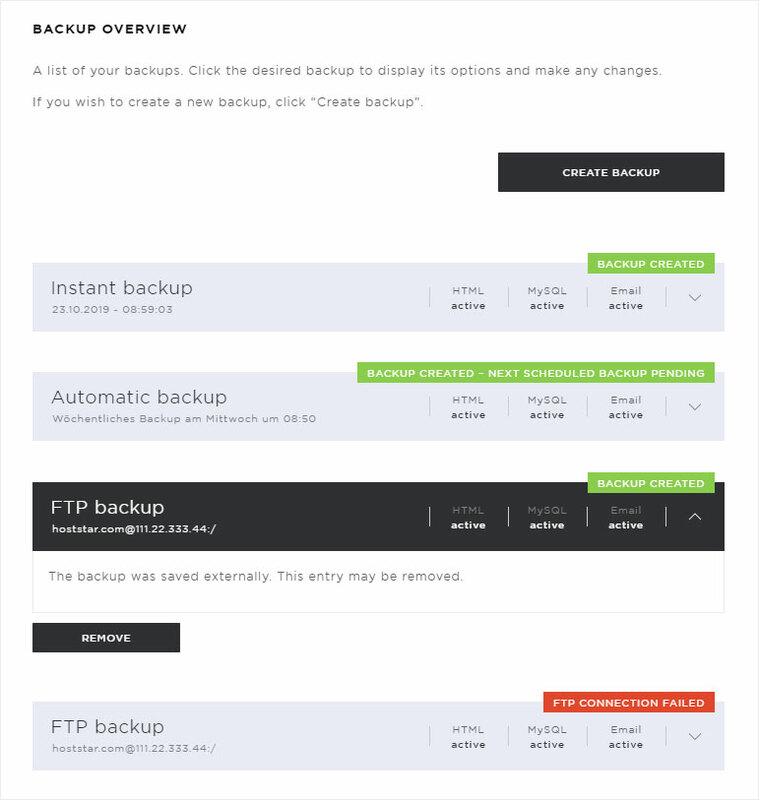 Regardless of the status, you should remove completed FTP backups. The FTP backup was completed successfully and now has the status «Backup created». For more information, click the arrow icon. A reference stating «The backup was saved externally. This entry may be removed.» as well as a «Remove» button will be displayed. We recommend removing this backup entry immediately to make space for new backups. 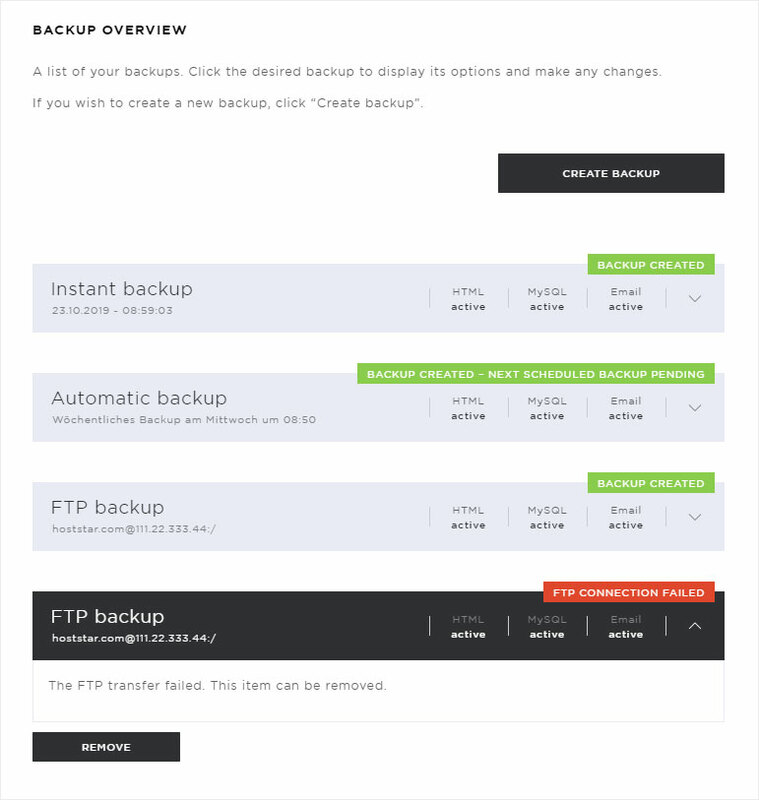 Follow the steps described in «Removing FTP backups». 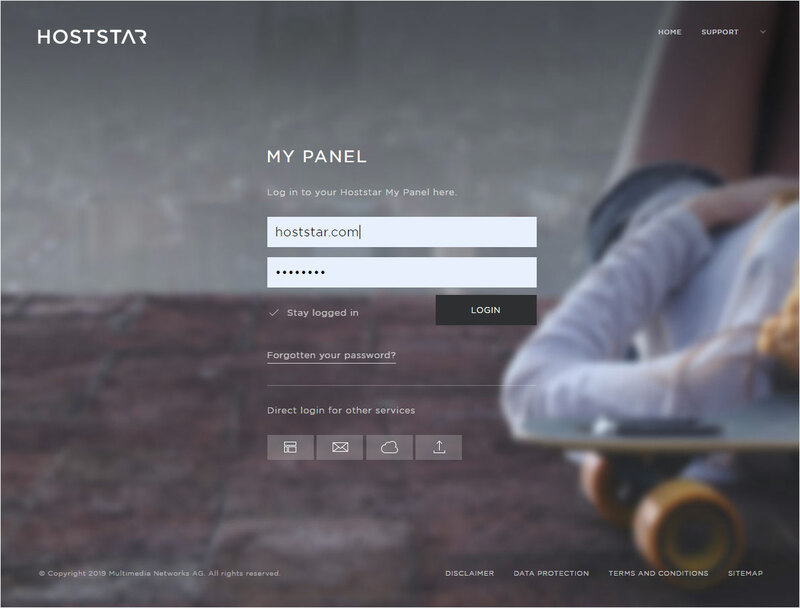 The FTP backup could not be created and now has the status «FTP connection failed». The reference stating «The FTP transfer failed. This entry may be removed.» as well as a «Remove» button will be displayed. 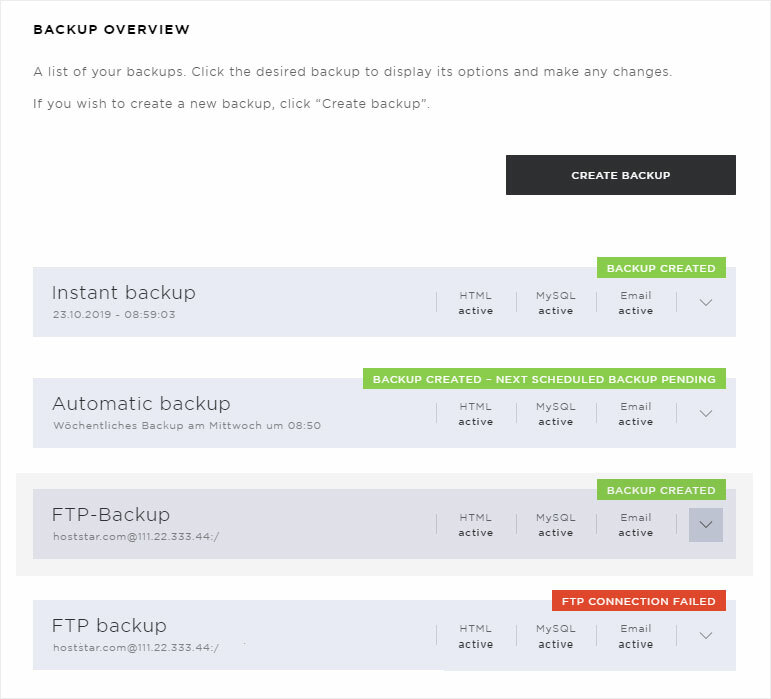 To remove an «FTP backup» entry, click «Remove». A pop-up window appears. 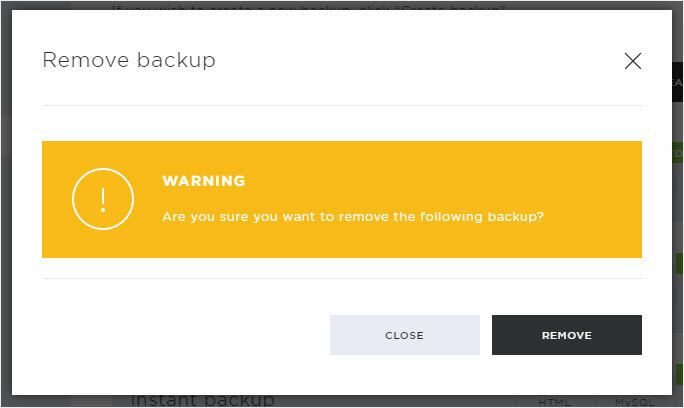 You will be asked to confirm whether you are sure you want to delete the selected backup. If you want to delete this backup entry permanently, click «Remove». 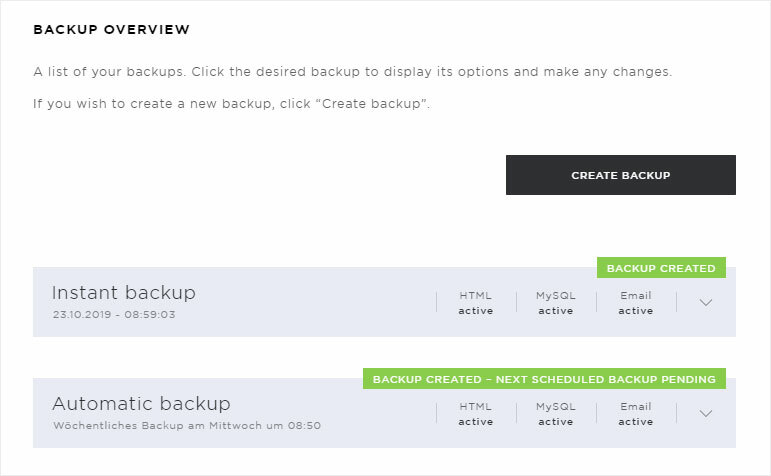 The backup is removed immediately and is no longer listed in the «Backup overview» that appears.